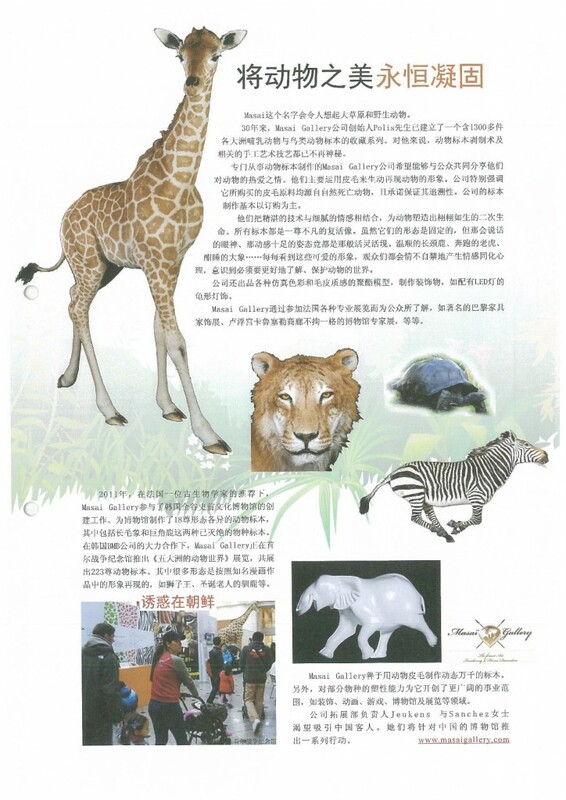 During the royal mission in China, L.L.M.M. 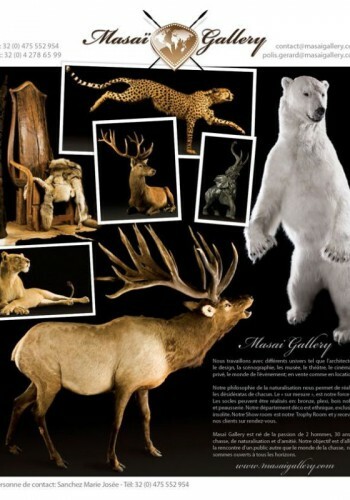 King Philip and Queen Mathilde of Belgium, Masai Gallery, represented by its managing director, Mr Christian Polis, signed a contract for the sale of several specimens to the Natural History Museum of Wuhan, represented by Mrs MA. 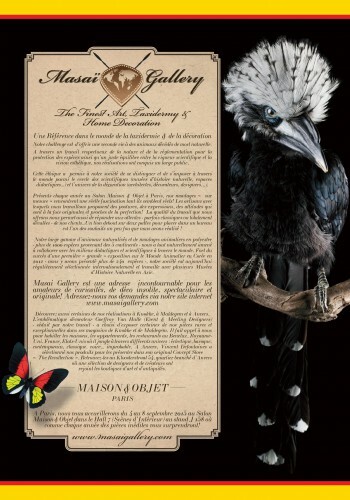 Masaï Gallery was honored in the Magazine “La Libre Essentielle” of this month of August 2015! 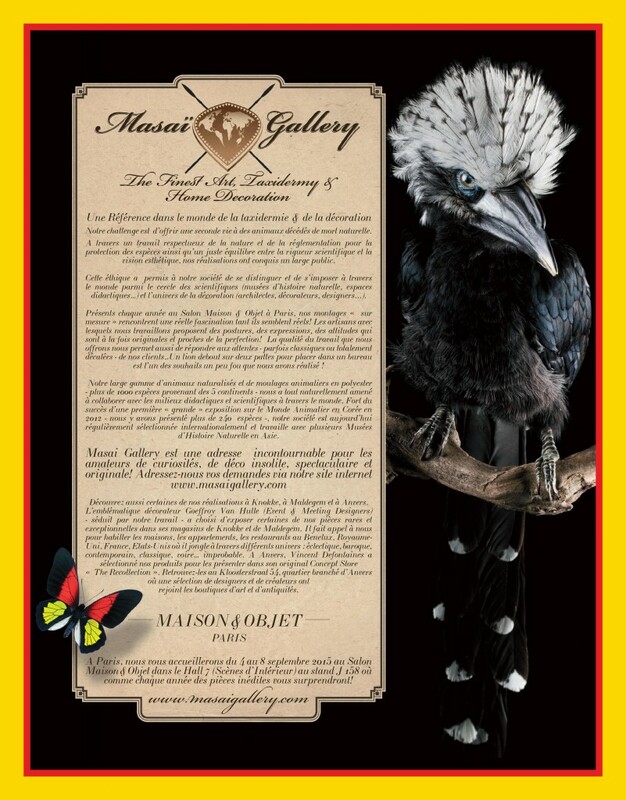 Masaï Gallery was honored in the Special Edition of the Magazine, “Special Knokke Match” of August 2015! 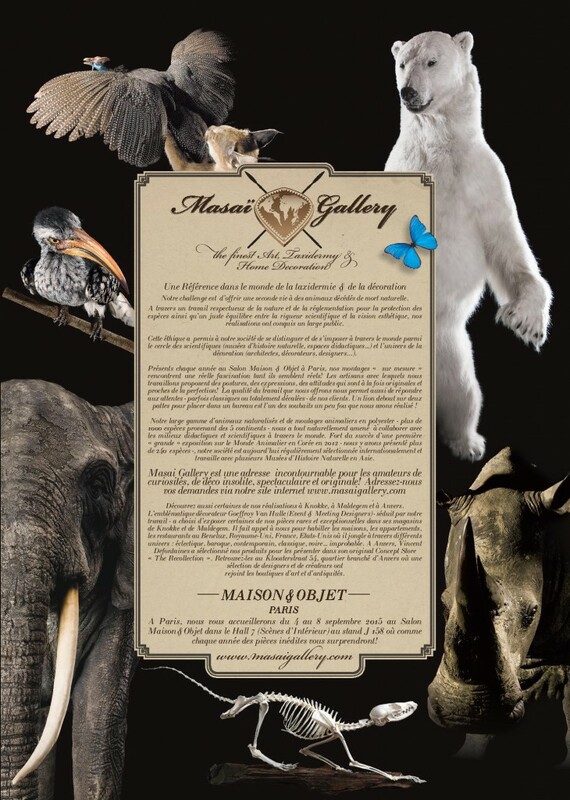 Masaï Gallery was invited in Wuhan, China for the Royal mission of june 2015! 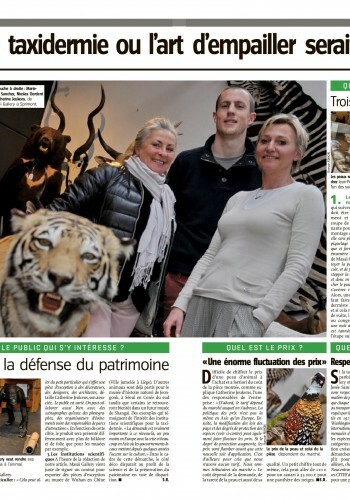 Masaï Gallery was honored in the newspaper “L’Avenir, Le mag du samedi” at the beginning of May! 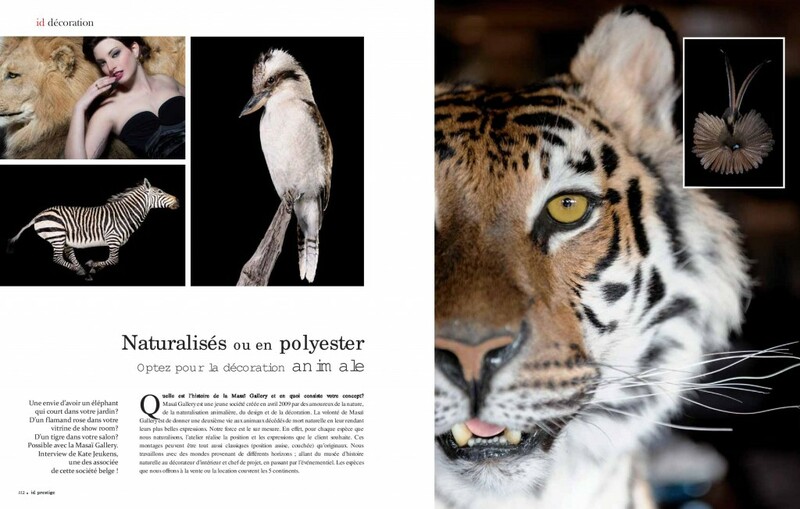 One of our felines in the magazine “A chacun ses ID” of October 2014! 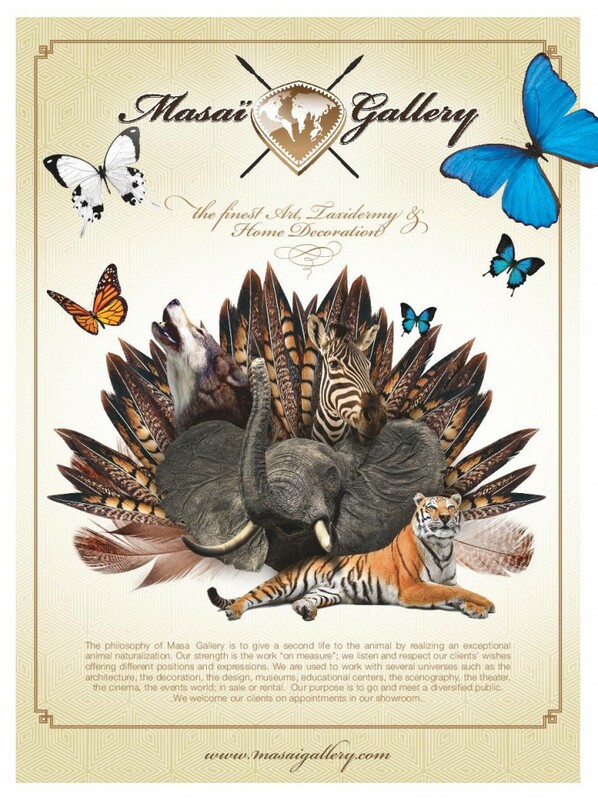 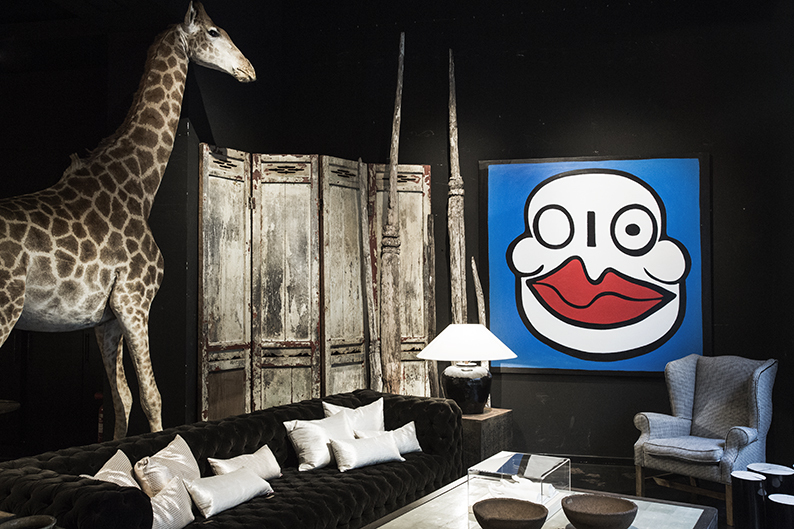 Since July 2014, Masaï Gallery collaborate with the decorating store Azul Tierra in Barcelona, Spain. 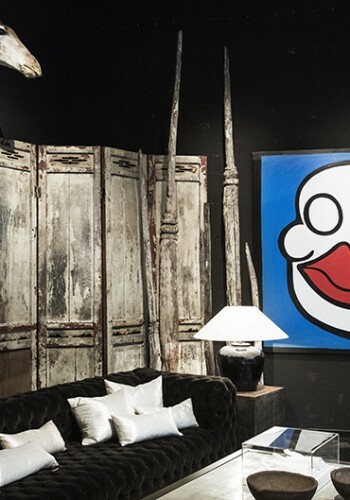 Find it some of our nicest pieces! 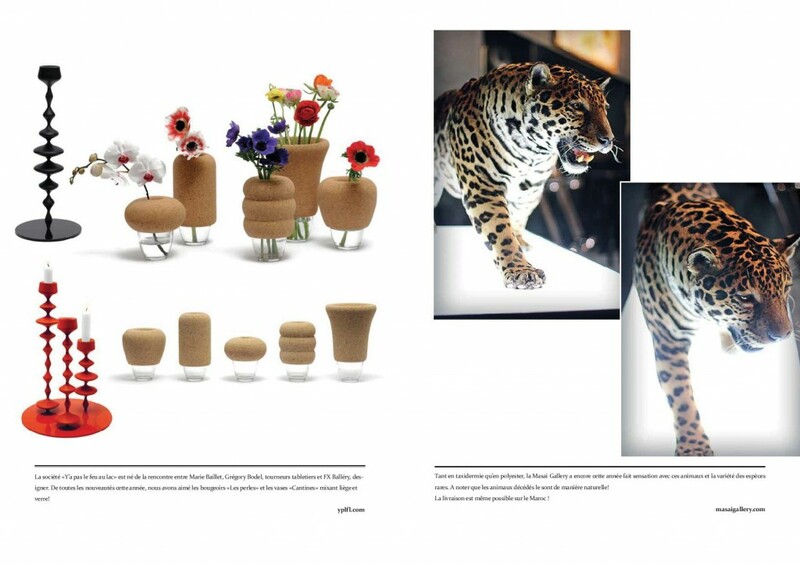 Masaï Gallery was honored in the magazine “CCI Mag” of May 2014 on the occasion of the presentation of our showroom to a delegation of fifteen Chinese prospects. 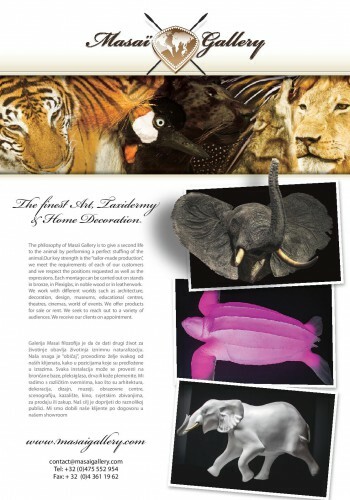 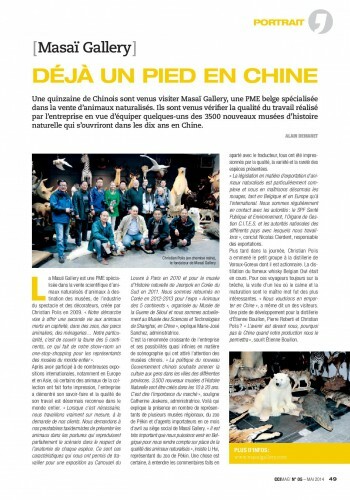 Article about stuffed animals in the magazine “L’Évènement” of december 2013! 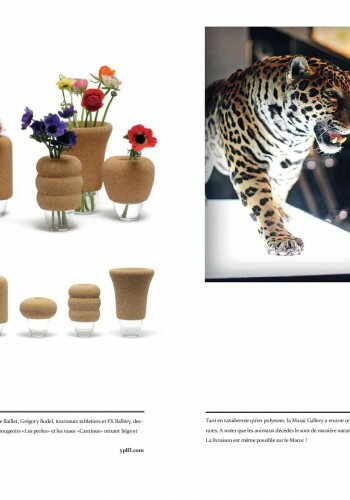 Masaï Gallery was honored in the magazine “Elle Deco” of december 2013! 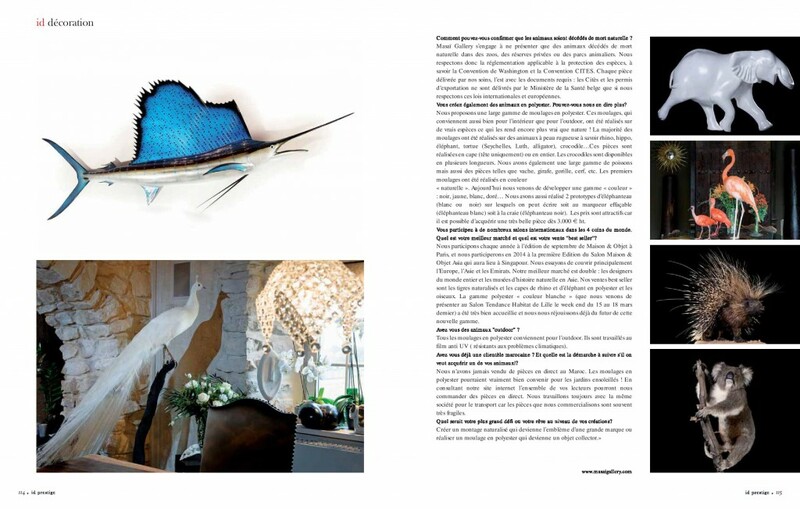 Interview with Kate Jeukens our collaborator for the Moroccan decorating magazine deco “ID Prestige” in December 2013! 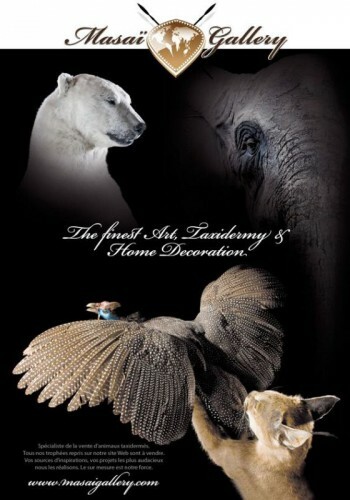 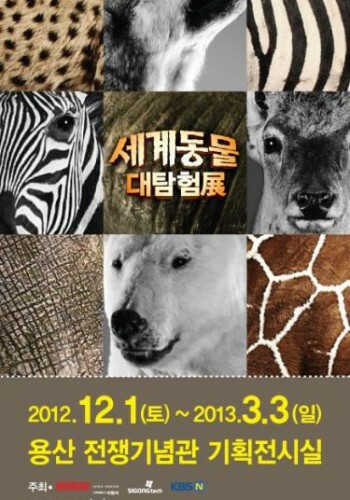 Animals from de 5 continents, Seoul 2012. 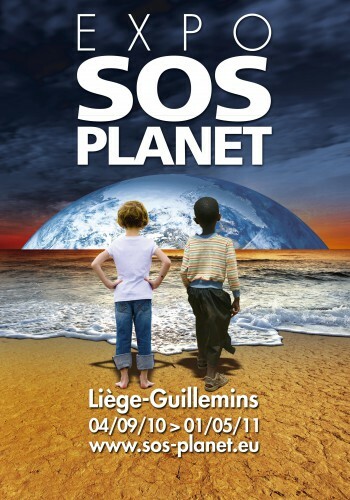 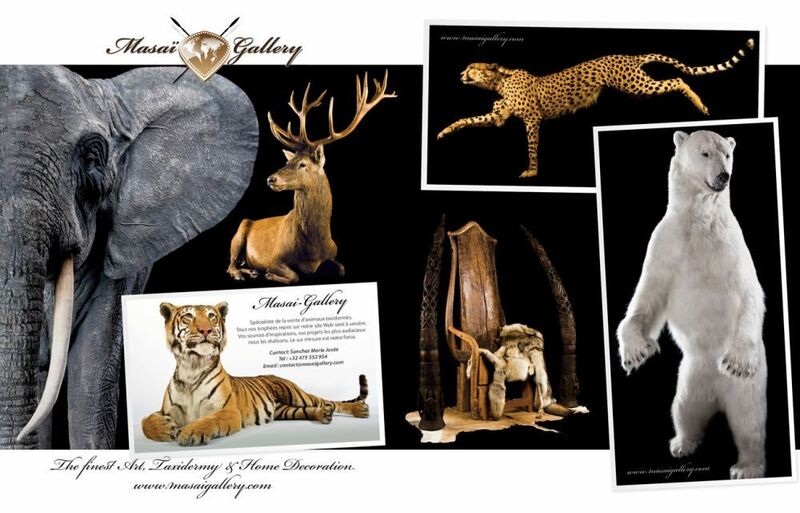 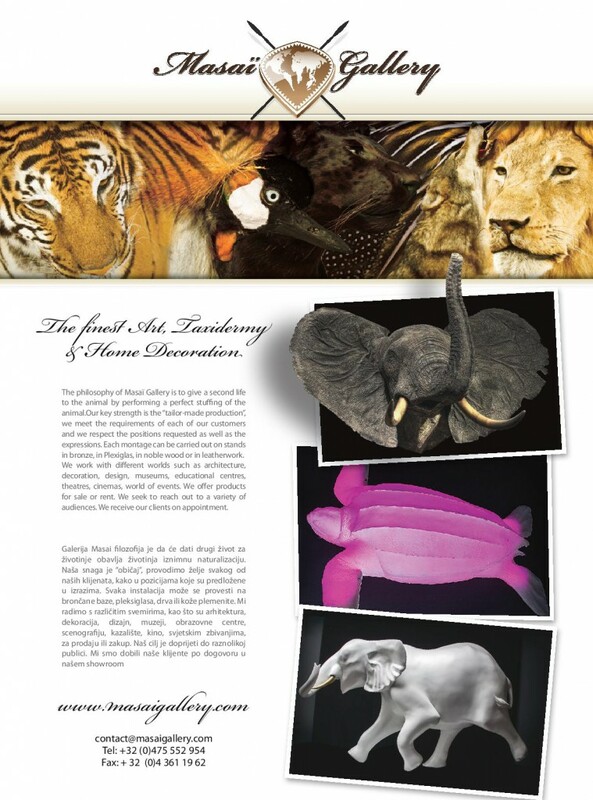 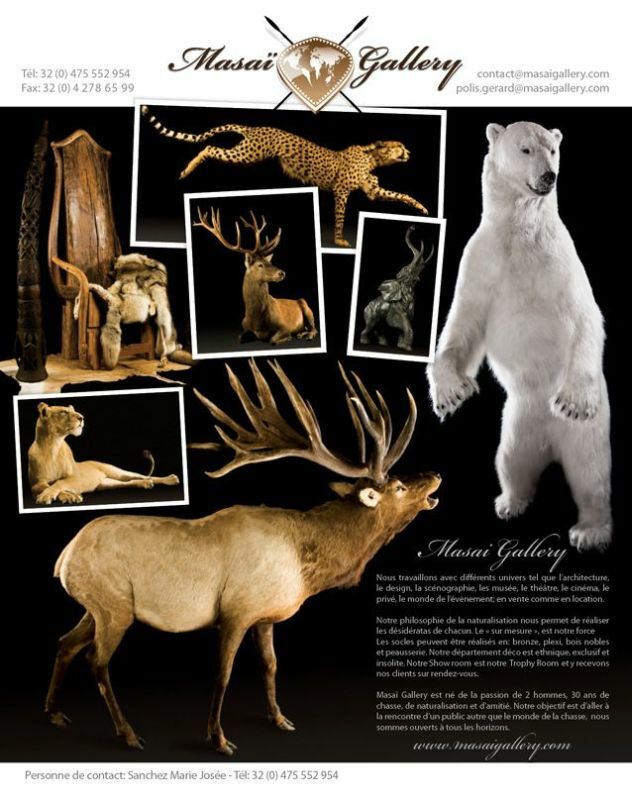 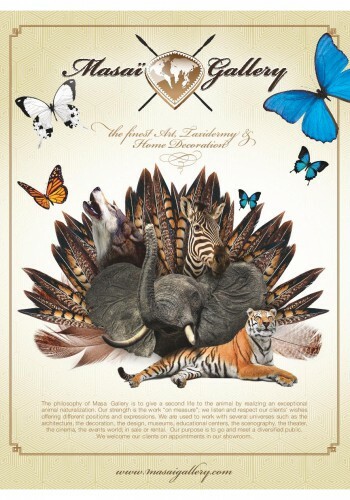 Find some of our animals at the SOS Planet exhibition in the train station of Liège Guillemins from September 4, 2010 to May 1, 2011! 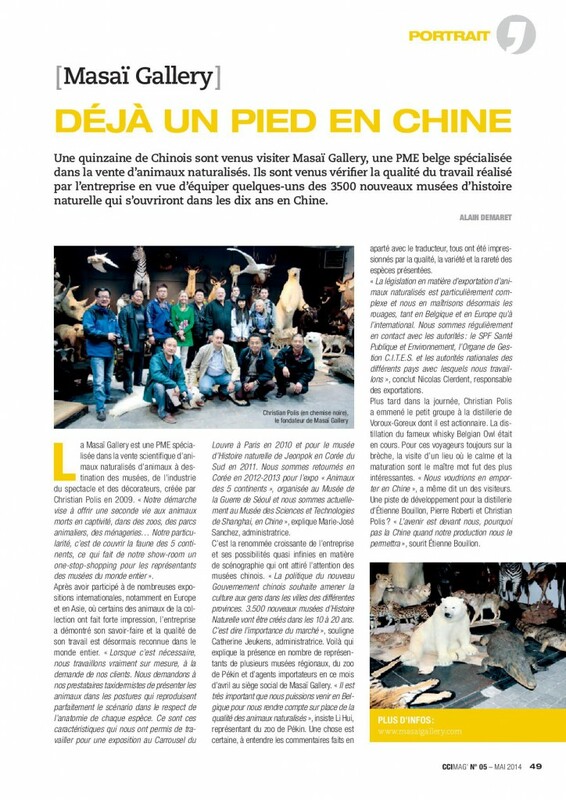 Article published in Chinese in the journal “The Belgian Economic Journal” of February 2013!